For the composer, ’beauty is at the heart of our Christian faith’ and his new Stabat Mater is sure to be profoundly shaped by his beliefs. But this is a work with deep roots and a universal message; placed next to hauntingly emotional music by Tallis and his own Miserere, the Stabat Mater becomes a celebration both of tradition and of radical renewal. Barbican Podcast: James MacMillan, the Scottish composer and conductor, whose Stabat Mater is featured in this concert talks about the new work and his life as a composer. 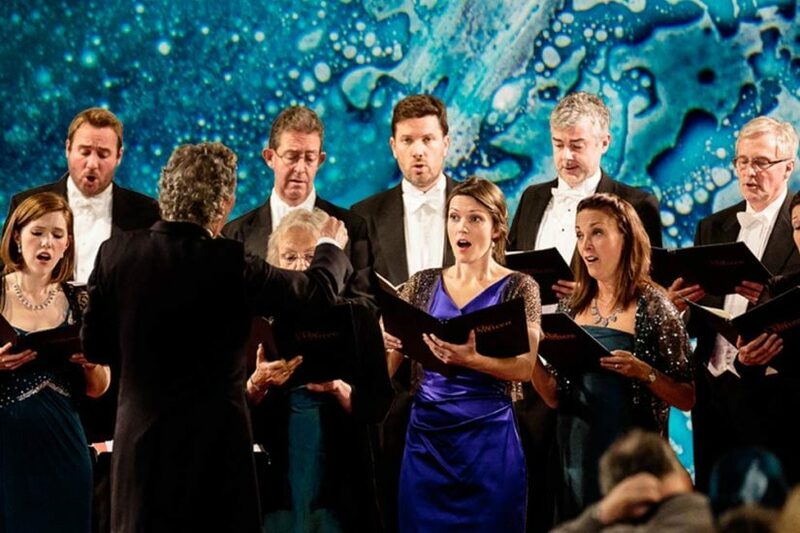 James MacMillan’s Stabat Mater has been commissioned by the Genesis Foundation for The Sixteen. "Throughout the many wrenching contrasts there's always a focused emotional thread"
"MacMillan’s Stabat Mater is a sustained exploration of sorrow that has unlocked some of his most powerfully moving and bittersweet writing"
"While passages of the choral writing are undeniably beautiful, often MacMillan’s response to the text involves something spikier, perhaps onomatopoeic"
"This grief-wracked Stabat Mater is no easy listen, but then MacMillan clearly did not mean it so." "Macmillan has given universal expression to the despair of a mother in mourning in a work noble and solemn for our times."